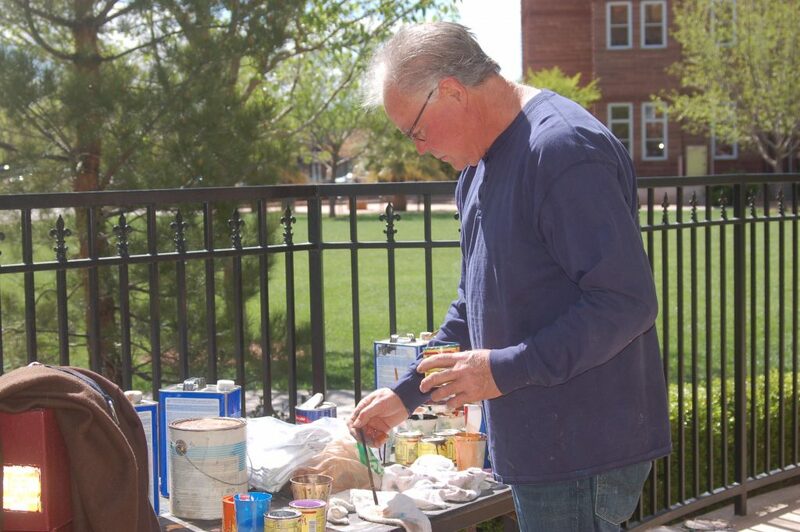 ST. GEORGE — Town Square Park in downtown St. George is about to be full of art as St. George gets set to host the 38th annual St. George Art Festival. Soon the lawn will be filled with photography, paintings, sculptures and more and while most of the displays are obvious, sometimes art is hidden in plain sight. 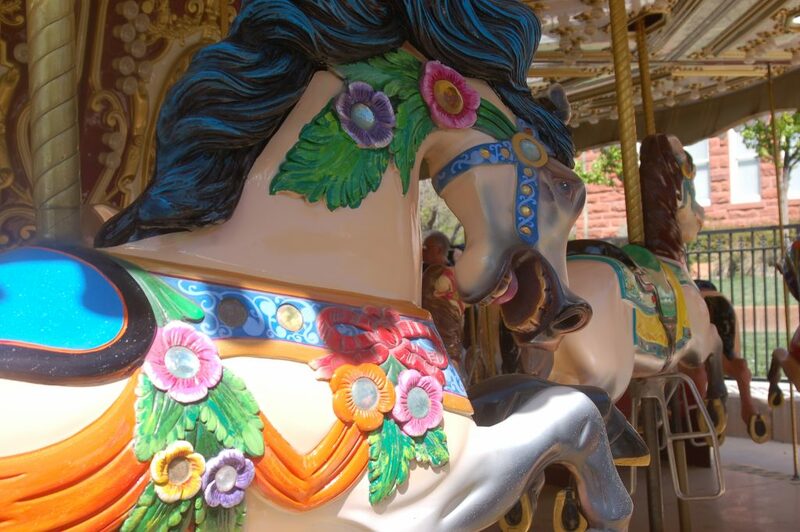 Such is the case with Town Square Park’s most colorful attraction — the carousel. 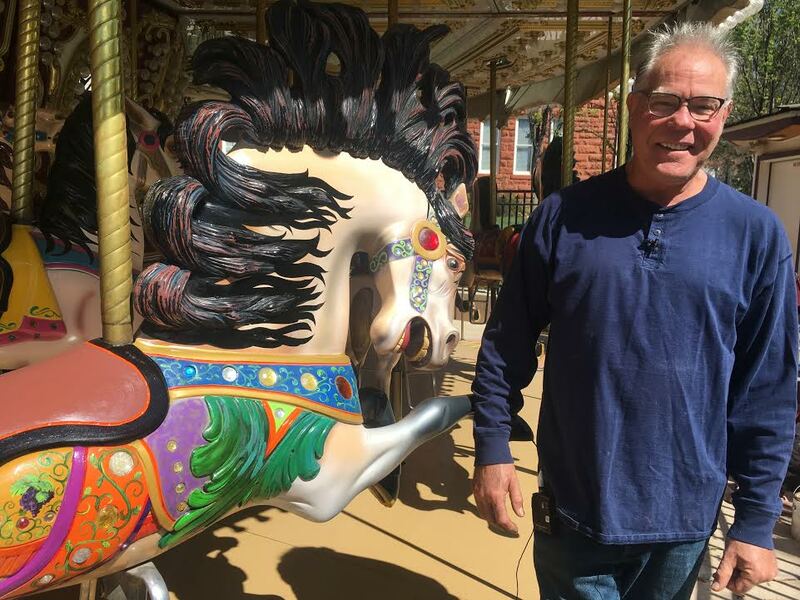 The restored antique carousel that once operated in Chicago is undoubtedly its own work of art and as such, it takes a true artist to maintain its aesthetic appeal. That artist is renowned painter Ron Larson who has been contracted every spring for the last three years to give the horses a little spruce-up. 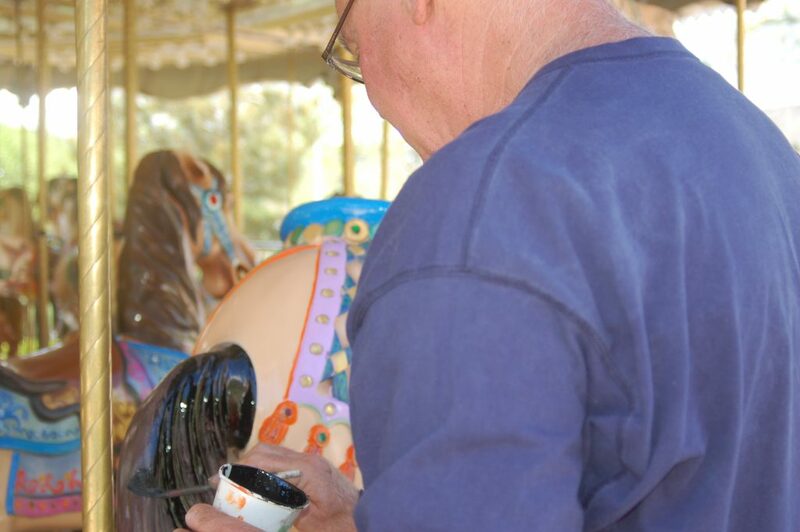 Larson said the job is a labor of love as he meticulously repaints each of the 30 horses on the carousel. Larson airbrushes the bodies to give them a nice, soft look, he said, and then he does all the detail work including the mane, tail and decorations on the horse by hand. Though each horse requires a different amount of time depending on how weathered and chipped the paint is, Larson said he spends about three-four hours on each horse. Throughout the process Larson gets to know each of the horses and, he said, they each have their own personality, but he mostly knows them by their colors. “It’s kind of my way of giving back to the community,” Larson said. Larson’s art can be seen in galleries throughout Southern Utah including in his own gallery, the 11th Street Gallery located at 620 N. 1100 East in St. George. The carousel debuted to St. George residents July 4, 2011, and it was reported in a previous St. George News story that by 2012, a year after its arrival, it had already turned a profit. 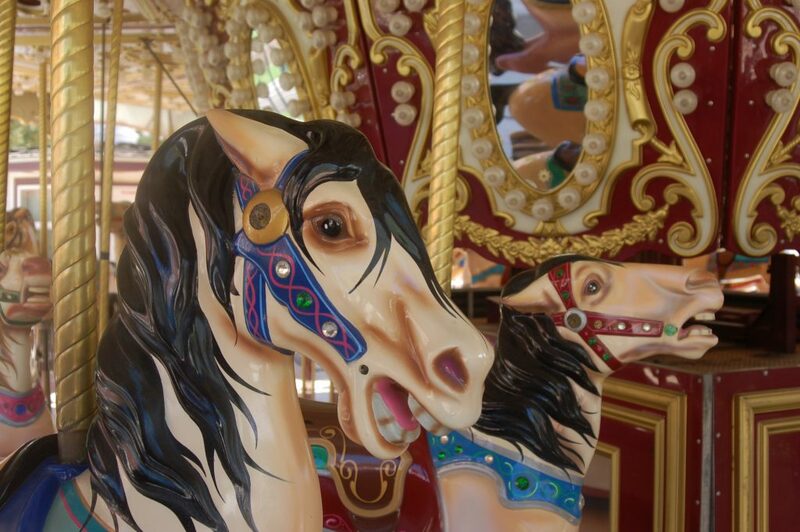 Though the carousel is a big hit with children it has had some rough issues. 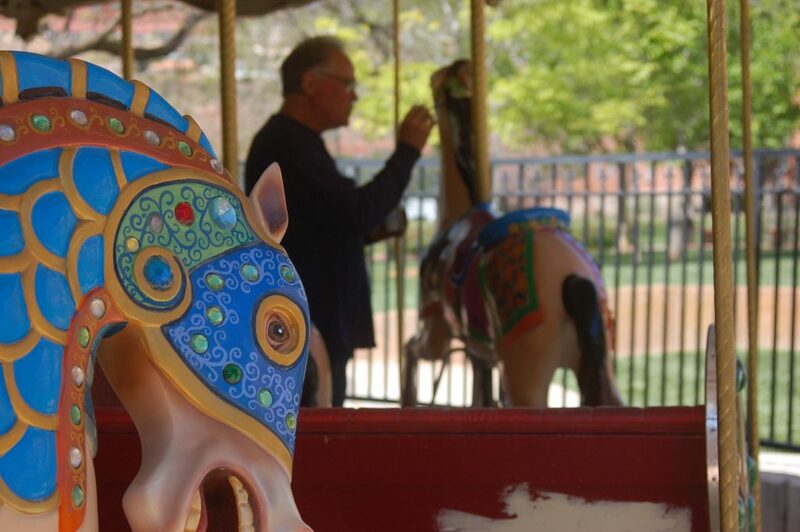 Namely, a period of time in 2012 when the carousel wasn’t operational and needed replacement machinery as well as issues with some citizens balking at the city’s use of redevelopment funds to purchase the carousel in the first place. The city of St. George purchased the carousel for approximately $250,000 said Marc Mortensen, the city’s support services director. Since its arrival it has brought in a revenue of approximately, $204,000. The carousel currently averages revenue of $35,000-$40,000 a year. That money goes toward paying for the operational staff as well as for maintenance — like Larson’s painting — and operation costs. Any leftover funds go into the general fund budget for the city, Mortensen said. 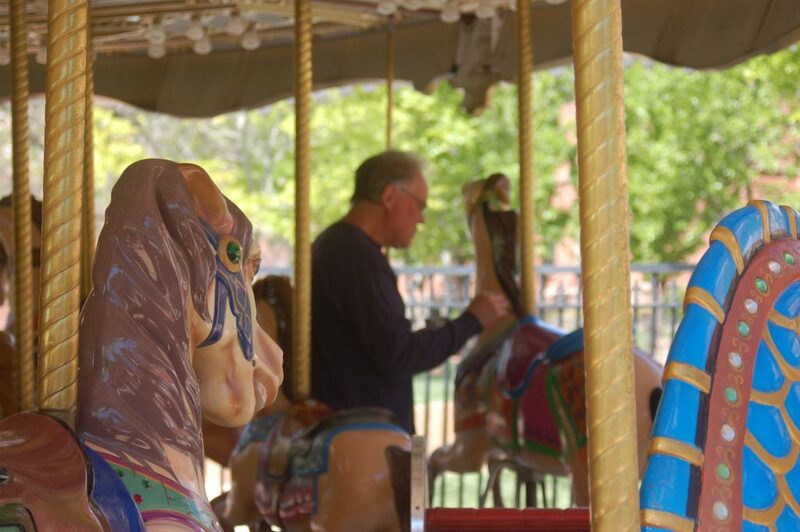 For Larson, the carousel has proved to be a wonderful addition to Town Square Park, he said. Current carousel hours are Tuesday-Thursday from 11 a.m. to 6 p.m. and Monday, Friday and Saturday from 11 a.m. to 9 p.m. Tickets are $1 for a single ride or $15 for 20 rides. Children under 42 inches ride free with a paying adult. The 38th annual St. George Art Festival will be held Friday and Saturday from 10 a.m. to 6 p.m. The festival will include works of art from over 110 artists included this year’s featured artist, painter Darrell Driver. The festival will also include two entertainment stages, a kids area and several food vendors. 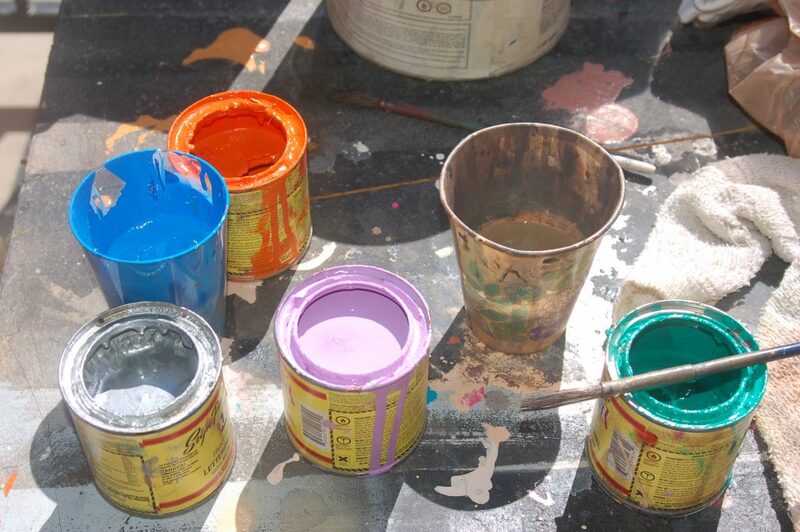 Approximately 30,000 people both residents and visitors will attend the St. George Art Festival during its two-day run. The festival is free to attend but merchandise and food vendors vary in price. What: St. George Art Festival. When: Friday-Saturday, April 14-15, 10 a.m. to 6 p.m. Cost: Free; vendors vary; carousel, $1. Additional information: This is a pet free festival. Guests are asked to leave pets at home. Service animals are welcome. Resources: St. George Art Festival website.